Honestly I am surprised at how much I loved this book! Amanda Ronconi was her usual awesome self with the voices. The characters were great and I just really enjoyed it! This is my first non-Halfmoon Hollow/Naked Werewolf Harper book and it did not disappoint! In fact it might be in the top 3 for me. Three years after being named Alpha of the North American pack, Elena Michaels is in London battling for respect from the British pack. When it becomes apparent she won't get it, she heads home, expecting a much-needed rest on her family vacation, only to discover a battle brewing of a very different kind. One of her eight-year-old twins has disappeared, and all evidence points to Malcolm Danvers. It seems as if the psychotic former Pack member they've been tracking for the past year has brought the fight to them, setting the bait he knows Elena can't afford to ignore. NEVER use that reader again. Storyline was good. I love the werewolf pack in the Otherworld series. But that narrator?! I had the book on 2x speed so I would get through her voice faster. And for some reason she repeated sentences. Just horrible. 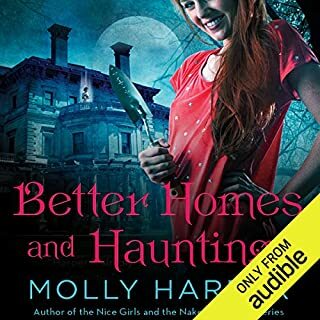 I love Molly Harper's books but something was off about this book. I wanted to like her tackling real issues (a custody battle) and expanding beyond the Jane group... But I lost interest quickly. 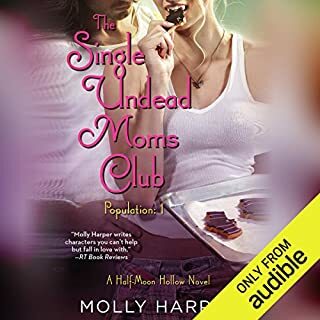 I've still preordered the next book in the series for my kindle, however I won't be relistening to this audiobook any time soon. As if raising her son, training her rambunctious poodle for the show ring, and grooming fellow handler, Sam Driver, for romance aren't enough, Melanie Travis's entree into the exclusive Belle Haven Kennel Club has been met with a grisly murder. As Melanie investigates, the truth about forged pedigrees and illegal show practices come to light. And soon, Melanie finds herself moving closer to a dogged killer who's desperate enough to strike again. 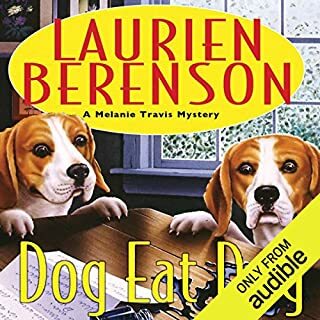 This is a book for dog lovers and is the first one in the series that did not have me checking the speed of the audiobook. Yes Jessica Almacy reads very (very) fast, BUT her voices are wonderful for the story. I love this series!